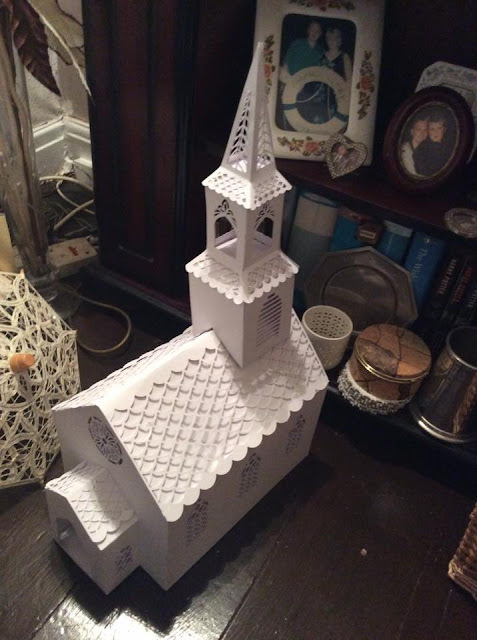 Corrine's Paper Crafts: Homework Gets A Gold Star - And What A Great Church! Homework Gets A Gold Star - And What A Great Church! Many thanks for showing me your makes by posting a pic of them on my Timeline on my Facebook page – I really enjoy seeing them and it persuades me that I’m not actually just speaking to myself when I write this blog! This time round I thought I’d share with you the considerable efforts of a young girl who used her crafting skills to enhance her homework project, and a slightly older girl (!) who has fashioned a brilliant church. I’m grateful to both Sonia Leigh and especially Sophie Leigh for sharing with me this picture of her homework project. (No copying now, teacher will find out and you’ll be sent to the Headmaster’s office!) Sonia writes that her young daughter Sophie used the ScanNCut machine to make a centrepiece for her homework all about the Gherkin building in London. 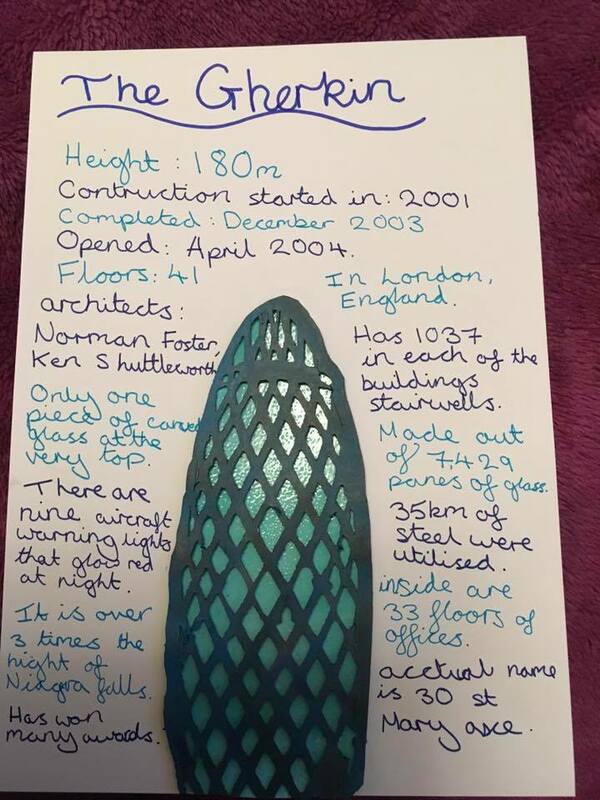 I don’t have any detail of what Sophie did but I’m guessing she has located a trellis pattern from somewhere and, using the ScanNCut, has rather cleverly fashioned it into a representation of the Gherkin building using a combination of dark green with a light green background. 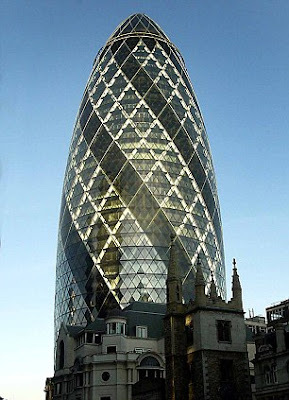 As you can see from a photograph of the actual building, Sophie has managed to effectively capture the essence of the building’s design – especially that little fiddly bit at the top. Sonia mentions that Sophie had no help whatsoever and picked up the intricacies of the ScanNCut in no time at all. I think this echoes all our experiences doesn’t it – kids are just brilliant at computer stuff, and we oldies often struggle (at least, I know I do!). Well done Sophie, and please please let us know what mark you got for this piece of homework – I’m dying to know! Moving on now and many thanks to Elaine Richards for sharing with me her super church… it’s huge! Elaine simply writes that she loves her ScanNCut. This brilliant piece of work came from the Romance USB for the ScanNCut. With this USB you get all the cutting files and you make each element of the project step by step. It’s work that can take a long time and can call for a fair bit of patience, but as you can see, the results are well worthwhile. This church is simply beautiful and by sticking to the single white motif throughout, it is made all the more striking. What comes to my mind is that this would make an outstanding centrepiece for a table at a wedding reception. Or, if it was placed in the shop window of a bridal boutique, it would be certain to attract attention. It would also look great as the centrepiece for the Harvest Festival decorations in your local church. Anyway, whatever it is used for, it’s brilliant Elaine. Well done and a sincere thank you for sharing it with us. While writing, I’ve noticed a lot of photographs of projects from the Romance USB are turning up on Facebook, so it’s obviously taken hold and captured your imagination. If you have any problems or difficulties with the USB just go to https://www.tatteredlace.co.uk/downloads/and click on ‘Cutting Craftorium Romance Projects’ where you can download a very detailed eighteen page document taking you through each project step by step. Hi Corrine you made Sophie's day featuring her homework! 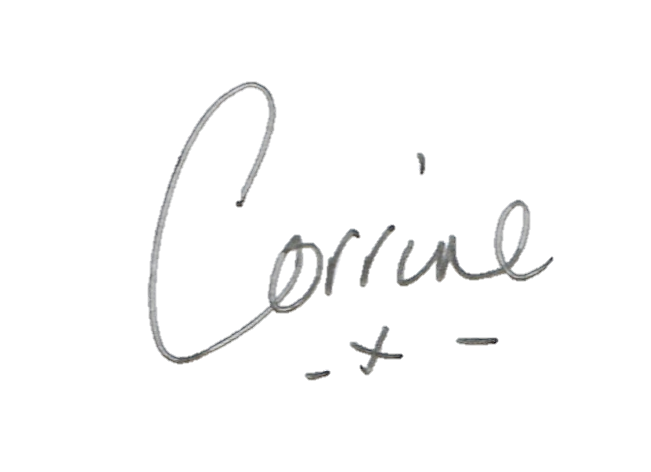 You wanted to know how she did it, She scanned a line drawing of the Gurkin to get the design. She did one layer with the cut out design and one layer just the outline. The base layer she then heat embosed with pale green powder to give the glass effect. She does not get an individual mark it all goes towards her final grade at the end if the year. Hi Sonia, and thanks for the details - I was wondering how Sophie had done it. She obviously put a lot of effort in to it and I'm sure that will be reflected in her final grade.